Reality’s consultants in Ukraine all have a big experience in implementing 1C and IBM products (Cognos, WebSphere) as well as in developing of the new objects (reports, documents, vocabularies, service processes and so on), modification to the standard functionality, consulting. The expertise of our 1C and IBM specialists in Ukraine is recognized by IBM and 1C as most of them own technical certification. Reality offers 1C products along with products for automation of budgeting, consolidation and business analytics IBM Cognos. As a part of complex enterprise automation we perform integration using IBM Web Sphere MQ and WebSphere MB, archiving using Optim DataGrowth and data protection in DBMS using InfoSphere Guardium. We also offer document workflow system based on IBM Lotus and e-commerce platform WebSphere Commerce. Reality service offering ranges from consulting in performance management & business intelligence to software implementation services, in leading technologies like 1C, IBM Cognos, IBM Web Sphere MQ & Message Broker. We are working constantly on the integration of all those components together in the leading companies in Ukraine and Russia and provide software support ensuring optimized software capability and integrity on your platform throughout the lifecycle of your enterprise-wide applications. Equally significant area of focus in our company is development of custom application development based on 1C platform – fixed asset tracking system, even management software, service center automation solution. We also provide various custom mobile solutions for different mobile devices (data capture terminals, PDAs, tablets) and different operating systems (Android, Windows). Our main focus is to deliver the project on-time and within budget. Reality is a services and solutions provider that prides itself on its collaborative approach and committed people. 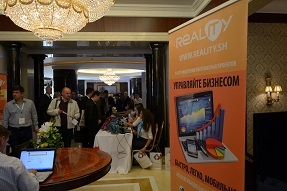 Reality has different approach comparing to other outsourcing companies in Ukraine and Russia. We offer only certain software development and maintenance as offshore service. Mainly 1C and IBM Cognos. Involving integration with your existing applications and platforms we can deploy enterprise-wide applications. Such flexible systems like 1C or IBM Cognos require agile approach to development. We make trainings for super-users at the beginning and develop business solutions in iterations with users. Our team is certified in 1C & IBM Software brands. 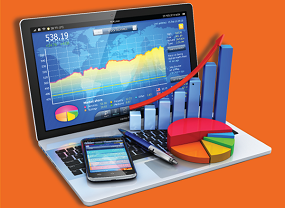 Cognos specialists hold a minimum of 3 years of experience designing and deploying budgeting and analytical solutions. We can help you design, deliver and manage smarter 1C & IBM solutions for your business. Whether you’re looking for an online conference registration system, exhibition registration software, registration software for special events, or anything in between, Reality offers scalable solutions that do more than simple registration. User-friendly and easy to set up, Reality provides a back-office and online registration tool with branding possibilities, different registration scenarios. We offer online registration, onsite registration, venue management and barcode scanning solutions, based on ds 9208 motorola to the exhibition and event management industries, with a large customer base and a formidable reputation for service and support. Opportunity lies in rapid change, decisive action, and prompt and continual engagement. It lies in the moment. IBM Solution Connect 2015 can help you seize the moment by offering industry leading insights, tools, strategies, and solutions. Join industry experts, thought leaders and your peers at an IBM Solution 2015. Our Cognos specialists will deliver the presentation about recently finished budgeting project in banking industry. In-company classes of English for Reality employees. 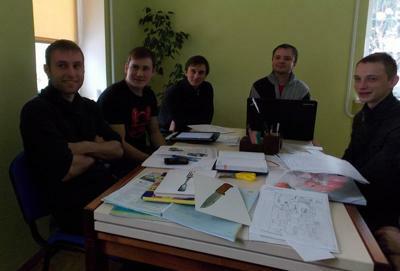 We started in-company classes of English for Reality employees. The goal of the lessons is to provide our employees with the ability to speak English fluently, as well as to be able to read, write and be clearly understood by English speakers. The group is small, making it possible to give individual attention to each student. We believe that small group courses improve our English skills much faster than studying in a large group.